Update: version 3.10c is released, I changed the download link in this post. ASAP Utilities released its new version (3.10b) today! We make you the company's excel guru! ASAP Utilities is a free and easy to use Add-In for MS Excel 97, 2000, 2002, XP and 2003. The utility contains over 300 functions to make your work easier and faster done. 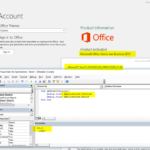 Version 3.10b is compatible with Excel 97 and all future Excel versions. It does not require any special (administrator) rights. If you have Excel 2000 or later and you do have administrator rights we recommend you to try the new version 3.11 also available from our website. That new version is faster and has some nice additions, but it also has a few more demands from your system and is at this moment still a beta-version. My thanks goes out to each and every one of you for your suggestions and bug-reports the past year. ASAP Utilities continues to grow and improve thanks to your support, your suggestions and your encouragement. ASAP Utilities is (as always) free and contains no spyware ! If you have problems downloading, try an alernative download location. Please send us your suggestions, bugs and comments. A brand new User Guide will show you how to get the best of ASAP Utilities. A concept version (115 pages) can be downloaded as PDF document. The document is optimized for duplex printing. ASAP Utilities User Guide.pdf (2.9 MB pdf) (update: this old user guide is no longer available, you can find the latest edition here). If you have comments, suggestions or find typing errors in the User Guide, please send me an email. 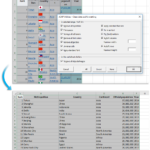 Users of the non-English Excel versions can now type in the formula in their local language. For example in the Dutch version you used to have to use a point as decimal separator. You can now use the comma. You can also use the local version of worksheet formulas, for example if you have the Dutch version of Excel you can now enter '+SOM(G20:G40)' in stead of the English version: +SUM(G20:G40). We have improved the error handling. You get a warning if an applied formula produces an error. In the range of cells you select the formula will only be applied to cells that have no errors, are not empty and have a value of formula with a numeric or logical result (text cells will be skipped). Array formulas will also be skipped. Another new option is added: unmerge cells. This unmerges all merged cells in your selection. formulas will be better preserved and cell-references in the formulas will be automaticly updates as the cells are transposed. formatting of the cells will also be transposed. the number of columns you enter is saved and used when you run the utility again. the example is updated and improved. the question remove completely empty rows is removed, the procedure is improved so that the data is transposed without creating empty rows. we have built in a check to see if the amount of columns you enter will actually fit on the worksheet. I have changed the hotkey (accelerator) for the ASAP Utilities in the menu. The password is now by default masked. It also has the option to protect only selected or all sheets. It also has the option to unprotect only selected or all sheets. Several small additions and improvements. - Fill » Fill 'between values' linear in selection (vertical). was swiched in the menu with the horizontal version. This version does not require any administrative rights on installation. Installation is easy. Best way is to make a backup of the current files in the ASAP Utilities folder and then run the installation. The User Guide which is now available for download shows more detailed installation instructions. ASAP is awesome! Question: Is there any way that I can add my favorite ASAP tools directly to the toolbar in Excel (as icons)? Thanks! i grade this utility as one of the best utilities in my computer. there is one question i wish to ask from yourself. plz do tell me where to mail that question.